Coming from Vancouver, Canada, I grew up in a world with a transportation system that regularly used tickets and paper passes. While this has been the norm for a long time in most major cities in the world, smart cards are quickly becoming commonplace. While I believe most people in North America believe that smart cards are mainly for credit cards, in Japan, specifically Tokyo, smart cards have been common place for over a decade now. Since 2001, Tokyo has had a smart card, or rather IC card as Japanese people tend to call it. These cards are used for various types of payments but they are predominantly used for transportation. They aren’t often used for the payment of items but that has changed dramatically in the last few years. Contrary to what most people believe, Tokyo was not the first place in the world to use smart cards for transportation. From my own research, I have found that smart cards have been in use publicly since 1997. The most famous place for these cards is Hong Kong with their Octopus card, but I was surprised to learn that Egypt also had their own smart card in the same year. Many countries have been able to start using smart cards before Japan started to adopt it, but Japan has recently been quick to expand the use of smart cards and we can see them everywhere these days. Most tourists who get one tend to use it often, more so than the locals. The most famous smart card in Japan has to be the Suica card. Suica stands for Super Urban Intelligent Card. It also shares the same pronunciation as the Japanese word for watermelon which is why the card itself is grey and green. Every card has a picture of the Suica card mascot, a penguin. The penguin was created by Chiharu Sakazaki based on an Adelie penguin. The character on the card has changed slightly over the years. The first design that I know of is a cute little penguin that is walking across the card. Currently they are using the exact same picture but with the penguin looking at you rather than ahead. 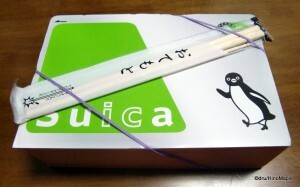 The penguin itself is named either “Penguin” or “Suica Penguin”. There is no real name for this mascot as either the designer or the company was a bit lazy, or they really liked the name “Penguin”. I feel they are lazy but I do think it is a good name anyways. The marketing engine that is running this mascot is huge. From the humble beginnings where they had just the smart cards, they have expanded tremendously to the point where you can buy Suica Penguin items all over Tokyo. 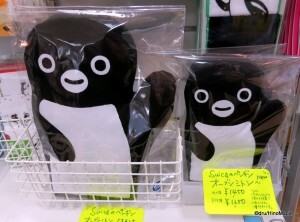 You can go into any of the convenient stores run by JR East and find merchandise related to the Suica Penguin. You can also go to other specialty shops and find food related products and even Louis Vuitton imitations where instead of the iconic LV logo and other standard prints, you have the Suica Penguin face. Even in the stations the penguin is marketed heavily with their advertising for various train deals as well as when you want to purchase something within the station. It is definitely a big bonus for the company that hasn’t been replicated by any of the other transportation smart cards even though they do have cute mascots of their own and they are trying very hard to market their mascots. Pasmo is the other major smart card being used in the Tokyo area that has been issued by a transportation company. 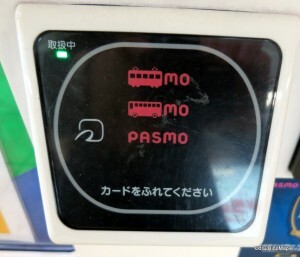 Pasmo was created as an alternative to Suica in Tokyo, but predominantly for people using the subway and bus system. As I have mentioned in Subways of Tokyo and Trains in Tokyo, Tokyo is interlaced with 3 train systems and several bus systems. Each one is run by its own company and each one is unique. 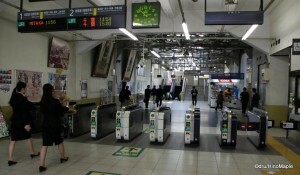 Pasmo took several years to develop compared to the Suica system used by JR East. I would assume that the major reason for this is the complex payment systems required for each company to ensure every company gets the monies that are owed to them. Pasmo is a combination of the words “pass” and “more”. The main meaning is that you can pass through more and more means of transportation. The card itself has three lines of images. The top line has a picture of a train or subway with “MO” after it. The second line has a bus with “MO” after it. The third line just simply says PASMO. It is read, “Densha mo; Bus mo; Pasmo” talking about all of the modes of transportation that can be used with this card. This card also has its own mascot in the Pasmo Robot. The robot can transform into any mode of public transportation as well as change colours. According to the Pasmo website, the Pasmo Robot can also receive information via its antenna so that it can get to places on time. This mascot has not been heavily used by the private companies and they tend not to promote it as much. This could be due to each company wanted to have their own mascot and marketing campaigns but it is leading people not caring as much for the Pasmo. It could also be the Pepto Bismol pink colour that is used for the logo. In general, anywhere you can use a Suica smart card; you can also use the Pasmo smart card and vice versa. Within Tokyo, both cards can be used on almost all forms of transportation. They can also be used in almost all convenience stores, many vending machines, as well as several shops. It may seem as if there is no difference between the two cards and both would be the same. There are a few differences in the cards. If you use the JR lines, you are limited to using the Suica card for purchasing a monthly pass. If you want to use the subway lines or private lines, you have to use the Pasmo card to purchase a monthly pass. Neither card is interoperable between the two systems in this regard, although if you do have a Pasmo, it is possible to get a monthly pass that spans both the private lines and the JR Lines, but not exclusively the JR Lines. This is the only condition within Tokyo that creates a difference between the two cards. 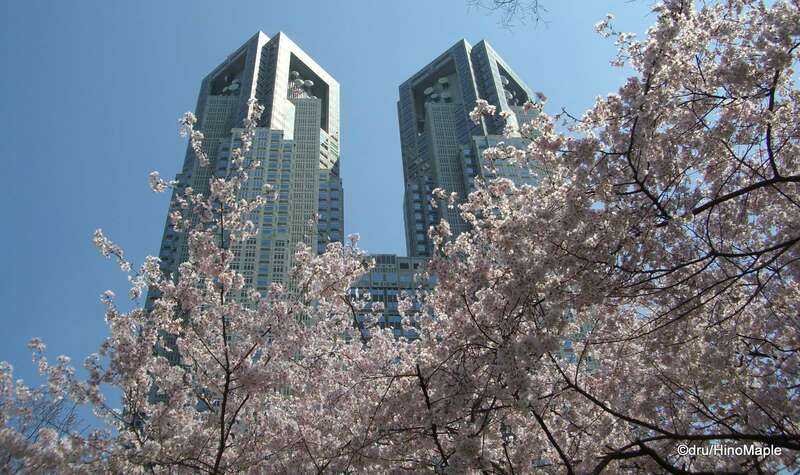 Outside of Tokyo, there is a huge difference at the moment. Currently the Suica card is almost universal within Japan. You can use it on all JR Lines in Japan that allow you to use a smart card. There are some areas where you cannot use the Suica card such as on the subways in Osaka and Nagoya and many of the convenience stores and other shops outside of the Kanto area don’t accept Suica cards as payment. This is set to change as most of the transportation companies are planning to expand their interoperability network by spring of next year. By spring of 2013, most of the major smart cards will be integrated into one system so that you can use them all within the various transportation systems. Whether you can use it in a shop is another question that remains to be answered. Physical smart cards themselves are slowly going out of style. Japan has seen the introduction of NFC chips within most of their mobile phones for the last several years. It has been possible to use your mobile phone as a smart card for purchasing train tickets, food, and drinks. It is a good service but there are some charges that are applied for using a mobile version of the smart cards as well as a few other problems with the system. When talking about payment systems alone, the smart card system in Japan gets more and more complicated. Several companies have come out with their own smart cards and it is causing a little confusion as well as problems with knowing which companies use which smart card systems for payments. Smart card readers are in almost every major chain of convenience stores, restaurants, and almost everything near a train station but as I just said, they are not all compatible. This will hopefully get better in the future but it is unlikely to happen anytime soon. For the average tourist, and even the average Joe, the Suica Card and the Pasmo Card are the only two you really need to know about in Tokyo. One of the main reasons for this is that it reduces the need for paper tickets as well as the need to think about how much you need to go somewhere. You just blindly enter the gates and exit with a touch of the card. Just remember to have enough money to get through the gates or you might end up going over the gates as if you were a professional wrestler getting tossed over the top rope of the ring. This entry was posted in Daily Life in Japan, Japan, Trains, Travel and tagged Chiharu Sakazaki, IC, IC Card, japan, Japan Rail, Japan Rail East, JR, JR East, Kanto, NFC, octopus card, Pasmo, Pasmo Card, Pasmo Robot, penguin, robot, Smart Card, subway, SUICA, suica card, Suica Penguin, Super Urban Intelligent Card, Toei, Toei Subway, tokyo, Tokyo Metro, train by Dru. Bookmark the permalink. Funny how you have both, and I only have 1. Actually, I have a total of 3 Suica cards. I have my regular one, and 2 for family and friends when they visit. Usually I get a little back with it, but never use it. Nice post. Isn’t there some kind of IC card ‘revolution’ happening in Tokyo? I see ads everywhere in the Tokyo Metro talking about all the other cards in other cities (paspy, icoca, etc.)? I remember the time we used paper tickets in Tokyo. We almost always saw long lines of people in front of ticket machines at any major stations. And those JR people did amazing job at checking our tickets. Sometimes, people tried to exit with wrong (cheaper) tickets, and JR people would know it immediately. Like the machine gates today, their eyes were very, very fast. 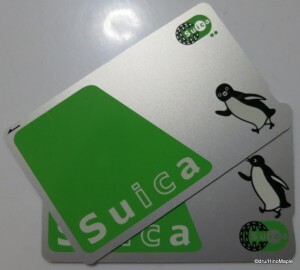 I prefer Suica because of the penguin! I’m quite sure Sarah could agree. Never knew it stood for Super Urban Intelligent Card. Cool name!